Vom 05.04.2017 bis zum 06.04.2017 wurden 23 Knowledgebase Artikel veröffentlicht. Titel: „Invalid credentials“ error while adding a vCenter to vRealize Business for Cloud. 100% capacity used for /dev/sda3.Size of audit.log is too large and /var/log/audit folder consumes majority of the space.Saved logs from log rotate policy reference a date that is not in line with the policy.Unable to connect to the vCenter Server as services are not started.Running /etc/cron.daily/logrotate manually rotates logs as expected. 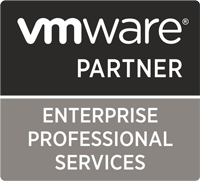 This article provides information on the End of Availability of VMware vSphere Data Protection. ESXi is not installed on the IBM server The Recovery CD that accompanies the IBM server is corrupt You cannot update or re-image the system using the Recovery CD When booting the system, you receive the error:No operating system found . The vsepflt.sys or vnetwfp.sys (for windows 10) are the only drivers required for normal Antivirus protection. The vnetflt.sys driver is called the NSX Network introspection driver. This driver captures networking events such as AD login/logout and all other normal networking traffic. This driver can be safely removed and does not effect AV if the AV is not configured to use network introspection. ESXi 6.0 may not failover to an alternate available path after encountering a Permanent Device Loss (PDL) condition on the active path.Note: For additional symptoms and log entries, see the Additional Information section. Unable to add a vCenter to vRealize Business (vRB) for Cloud.Even though credentials are correct, you get an error similar to:Invalid credentials entered for the specified datasource. When ESXi is deployed on an SD card using the dd command, (by deploying the ESXi host using the .dd image created using the esxiso2dd command provided by VMware) the ESXi host creates a coredump partition as the second partition during the first boot. As a result, attempts to upgrade the ESXi host might fail.